We equip people to gain fresh perspectives on problems, spot opportunities others miss and courageously put ideas into action. We believe young people have the power to change their communities and the world. Why wait? We jumpstart creative cultures within organizations through experiential learning. We design for teams, such as convening educators from across the globe to advance their practice. We design for individuals, helping leaders and entrepreneurs connect to the sense of purpose that fuels their work. We spark new ways of thinking and acting with catalytic workshops. We roll up our sleeves with you to dig into a challenge your organization is facing. We offer coaching as you take ideas and new practices forward in your teams. We seek to unlock the designer in everyone. We build your ability to reframe problems, grow deep empathy for others and get comfortable trying ideas long before they're "perfect." 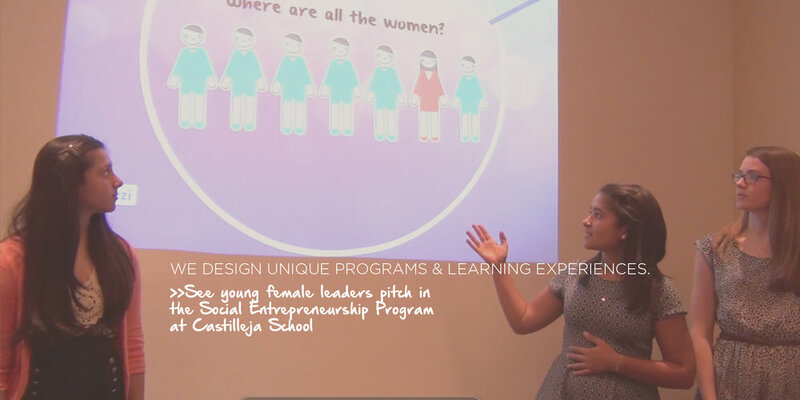 We incorporate methods from Stanford’s d.school, IDEO and global entrepreneurship programs. On June 9, students in upstate NY transformed their gym into Titan Memorial Hospital. Instead of backpacks, they donned doctors' scrubs to perform surgery on their selected pathology, from knee replacement to coronary heart disease, on paper mâché bodies they built themselves. To prepare, students networked with surgeons, watched surgery videos, and spoke with patients to deeply understand the disease they were addressing. See how Teacher Leaders sparked students to move from apathy to agency.